Mother’s Day is a very special time for most of us who live in America and the Western World. It is a day when we celebrate the tremendous value of Mother. 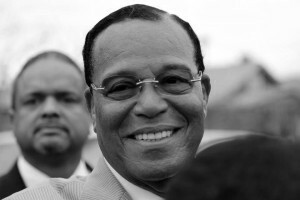 The Honorable Minister Louis Farrakhan stated in a speech titled “The Women: The Value of Mother” that “every day should be Mother’s Day…after Allah (God), His Messenger and the Truth, Mother is the best friend you have.” Minister Farrakhan has a very long history of extolling the virtues of women and mothers. He named the headquarters of the Nation of Islam “Mosque Maryam” to signify his undying commitment to the rise of women. He promoted one of his female student ministers, Sis. 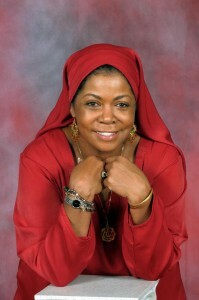 Ava Muhammad, as regional minister in charge of a 5-state area of Muslims. Minister Farrakhan has always instilled in his male followers that which has become a maxim in many Black communities today—years after it was coined by the Most Hon. 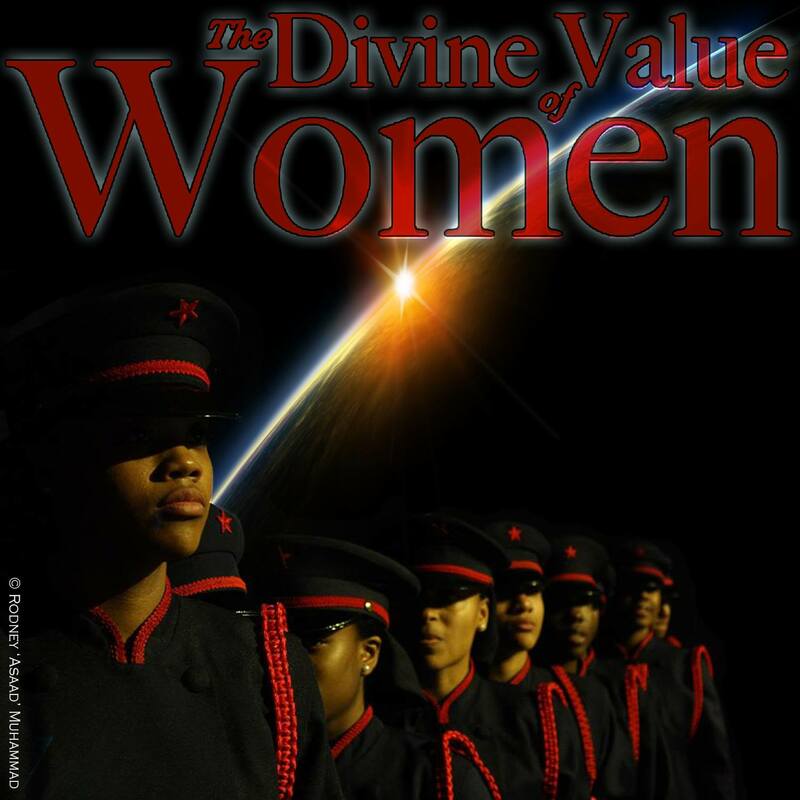 Elijah Muhammad—that “A Nation Can Rise No Higher Than Its Women.” Periodically throughout his ministry he has used his influence and magnetism to convene large Women’s Only meetings where he could deliver divine guidance to thousands of women who have been abused, battered and disrespected. And his effort to rebuild the work of the Most Hon. Elijah Muhammad included reestablishing the women’s only class of the Nation of Islam known as the M.G.T. and G.C.C. class. This class is a male-free sanctuary for women and girls that offers women a core curriculum of 7 foundational stones of divine womanhood that serve as the basis for domestic, entrepreneurial, academic and professional success. There is so much that can be written on the beneficial role and influence of the Hon. Minister Louis Farrakhan in the life of women, Black women in particular, that this article can only begin to scratch the surface. 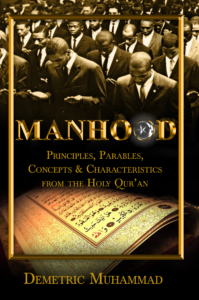 But as a student of Minister Farrakhan’s ministry, I find congruent threads running through his teaching and the language of the Holy Quran, which is called Classical Arabic. Further study of the classical Quranic Arabic revealed that the root word hamza mīm mīm occurs 119 times in the Quran, in six derived forms: 35 times as the noun umm, which also means mother and the foundation; once as the time adverb amām, meaning “what is before him”; 12 times as the noun imām, meaning “leader” or “guide”; six times as the nominal ummiīī, meaning “unlettered”; 64 times as the noun ummat, meaning a “people,” a “community,” a “nation”; and once as the active participle āmmīn, meaning “coming, setting out, heading for.” All of these Arabic words and their variations or cognates have very profound meaning as it relates to the missionary work of the Nation of Islam to restore fallen humanity to a favored position with Allah (God). Surah 7:157 speaks of an “Ummi Rasul.” Here “Ummi Rasul” means an unlettered Messenger of God—a rasul is a prophet sent by God with Divine Law and ummi, here, means untutored. When one is a person of “letters,” one has attained scholarly and literary knowledge and an authorizing body has verified one’s ability in a said field and conferred its approval, which is represented by a degree or diploma. The consistent methodology of Allah (God) in scripture is that He has never relied on none but Himself to approve of His choice of a Messenger. His messengers are missioned by the Divine Supreme Being Allah (God) as mothers for the people to whom they are sent and from whom they are raised. In Surah 91, titled Al-Shams (The Sun), Prophet Muhammad (SAW) is symbolically referred to as the “Sun of righteousness.” The word al-shams is, according to the translator M. Muhammad Ali, feminine, yet this male Prophet is referred to as a sun due to the brightness of his illuminating character and God-given wisdom. His role, like that of a mother, is to love, nurture, teach, encourage, correct and protect the object of Allah’s love—the people to whom he is sent. Community is a big theme in the Holy Quran; hence, mother and the idea of mothering always loom in the background of Quranic social science. Even the Friday prayer service—which Prophet Muhammad is reported to have described as being 27 times more powerful than individual prayers—is called Jumuah. Jumuah is phonetically similar to Ummah but comes from a different Arabic root (jīm mīm ayn vs. hamza mīm mīm). Despite different root words, there is harmony between Ummah and Jumuah in terms of their meaning. The congregational prayers are an emblem or symbol of the type of community that Abraham and Ishmael prayed for in Surah 2, mentioned above. It is a praying, God-conscious community, where all are equal in the eyes of their Creator. At this point we can also appreciate, as mentioned above, how imam (leader) is derived from the same root as umm (mother), ummi (unlettered), and ummah (community). The imam in jumuah (Friday prayers) acts as a prayer leader and teacher. But before all are led in prayer, the imam ensures that the rows of believers are aligned perfectly. He asks that everyone be in contact with one another by being shoulder to shoulder and toe to toe. This is an act of disciplining and is consistent with the role of mother, who disciplines the children. The role of the imam here calls to mind the popular church sermon and book called “The Power of a Praying Mother.” The imam as teacher (khatib) is reminiscent of mother, who is the child’s first teacher. His khutbahs (sermons) offer guidance, warning and good news of the mercy and love of Allah (God). The mother is a divine creation and mothering is a divine act, for both are born of Allah’s (God’s) great love for humanity. Most of us know of the unconditional love of Allah (God) because it first comes to us through our mother. Of the 4 types of love mentioned in the Bible, the Greek word agape is used to describe “unconditional love.” It is unconditional love that is required to effect redemption. Unconditional love makes you look beyond fault to see need. Minister Louis Farrakhan has been an “ummi rasul” that has mothered the Black community. He has taught us, warned us, corrected us, encouraged us and even defended us. Most significantly, he has suffered our ignorance patiently when we distance ourselves from him when those outside the Black community speak ill of him. He has been insulted and betrayed, but like a good mother he has never retaliated. Miraculously, he has always been able to see the good in us and for that I am extremely grateful. I would hope that as we celebrate our Mothers with love and gifts and kindness this mother’s day, and everyday thereafter, that we would remember Minister Louis Farrakhan and do something to show how much we love, appreciate and thank him for loving us when we didn’t even love ourselves.